**If you are here looking for information on the services for Patrick, just click on the Post “For Patrick“. Any information I have will be a the top. Thanks. I can easily get lost within myself. I truly believe the old adage “Know Thyself”. I’m glad I’ve taken the time and had the opportunities to understand myself better so that I can work my way out of some dark places. I also know that I have to depend on the Lord to be my Light in the valleys. He’s led me out of a lot. This has been a rough week and I can never sit in sorrow or sadness for too long. I don’t want it to overtake me. I don’t know how long it is going to take me to work through the truth that Patrick is gone. It seems completely unreal. Like it’s a lie. Life continues to nip at my heels, painfully reminding me that it goes on. The dishes still need washing. The car still needs safety inspected (and will fail). Kids still need love, attention, care and guidance. Bills still have to get paid too. Life goes on. In my effort to lift myself up and out I thought, Jim Gaffigan is always good for a laugh. I mean the man does diatribes on bacon, hot pockets, camping, bowling, laziness, Cinnabon and even cake. Mmm…cake. And for my best friend Crystal, the one on Cinnabon. Pat’s memory and the friendship we had with him will always live in our hearts. The wake is scheduled for Monday from 4 – 8 at Emerick’s Funeral Home at 1550 Route 9, Clifton Park, NY 12065 (518) 371-5454. Immediately following, Erin and Kevin are hoping for a get-together at Ravenswood for all who would like to attend. The funeral is set for Tuesday morning in Clifton Park, at St. Edwards, 569 Clifton Park Center Road, Clifton Park. Our friend was pronounced brain dead yesterday afternoon, around 3:00 pm EST. We are totally shocked. I told a friend of mine that if we were sitting here now, talking to Pat and told him how he died, he would be so mad. This was a senseless and stupid thing. I can’t believe a man like this would die like this. Everyone is posting pictures on his facebook page of fun times had with him. He was such a great guy to be around. Did anyone not like Pat? How could you not like the guy? Thanks so much for your prayers. I’m sure his parents, his brother and his sister will covet our prayers for their own healing now. Services will be held next week in Albany, NY where Pat is from. Jeremy is flying out to attend. Today at noon CST, Pat is going into surgery. The doctor’s are going to check the arteries in his brain to see if any blood is flowing into it. Right now they think there isn’t any. If that is accurate, Pat is gone. We are praying the doctor’s are wrong. We are praying for a miraculous healing. We’ll know more tonight so please continue to pray for this man and his family. Thanks everyone, it means so much to us. When Jeremy decided to join the Army 5+ years ago, like all new guys, he had to start from scratch. He went to Basic Training and Advanced Infantry Training at Ft. Benning, GA where he had his boot-ay handed to him on a silver platter. This was no “relaxin’ Jackson” peeps. In his journey, a deep friendship was created. Patrick Casey was about the same age as Jeremy (I think just a year apart), he left a successful career in New York and an apartment full of beautiful furniture so that he could be a soldier. Unlike Jeremy, Pat had a college degree, but he still chose to go the enlisted route rather than officer. He didn’t want things to be easy for him. Pat was one of the first people I met. He took this picture of us when we came to visit. That was the beginning of a 5+ year-long friendship. Pat’s nickname at basic was Sasquatch because he is somewhere in the vicinity of 6’5 and oh,…290 lbs? You just don’t mess with the man. But to our family, Pat was always a big teddy bear. A loyal friend, an intelligent and fun person to talk to, a gentle and kind man who had goals for his life. Pat with our boys at Halloween last year before we all parted ways. Pat and Jeremy were both stationed at Ft. Lewis, WA in the same unit and for a while the same platoon within the same company. It was truly as if the Lord wanted their lives to cross. 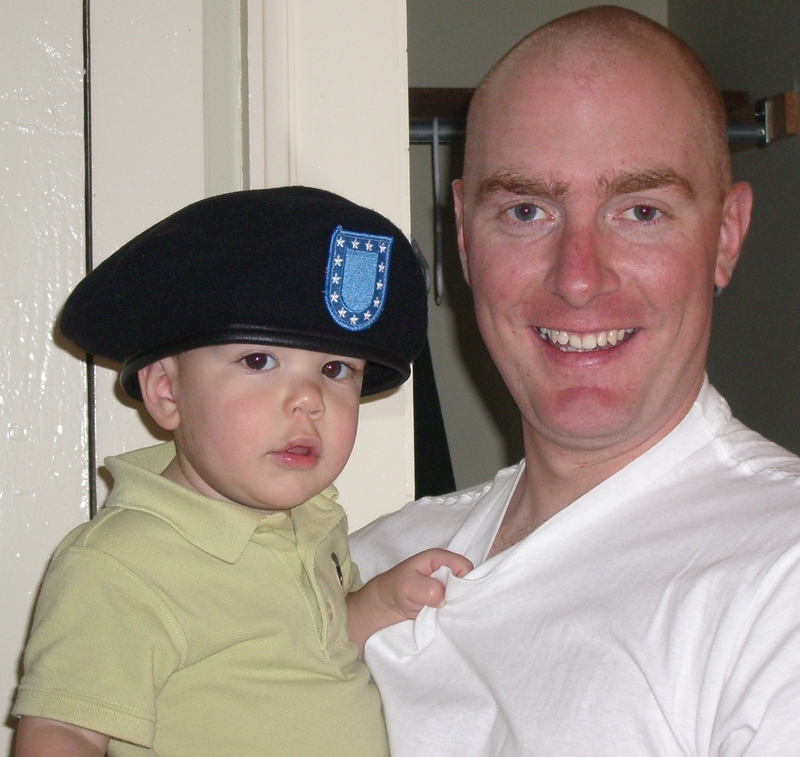 Pat babysat for us, he lived with us for a month, he deployed to Afghanistan with Jeremy and returned with Jeremy. 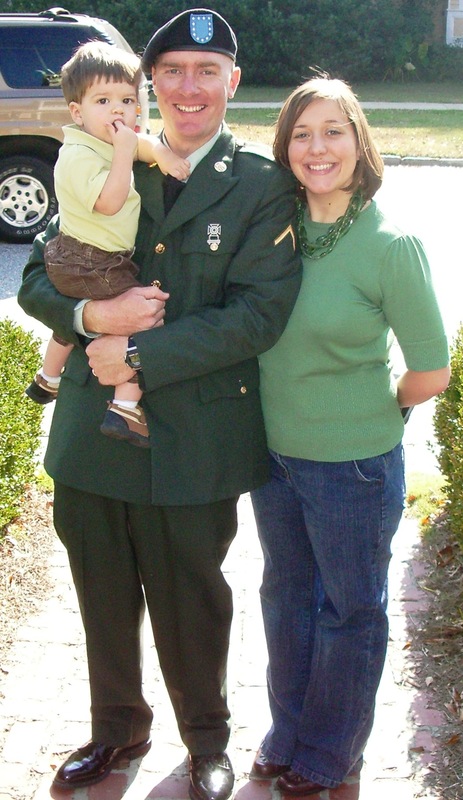 His parents called me when they needed information about the returning soldier’s ceremonies. This guy is a special man and friend to our family. We enjoyed many a meal together with Pat! But on Friday, at 5:00 am, we got a phone call from another Army friend in Iowa. The police in Washington DC had just called him. Our friend Pat was in the hospital, the police had his phone and just started calling people trying to get a hold of his parents. They wouldn’t tell Scott anything about why Pat was in the hospital because he wasn’t a family member. Scott immediately called us. Jeremy and I searched for the Casey’s phone number. We messaged his family members on Facebook and finally, his Aunt actually contacted us. His parent’s had been contacted and we were told what had happened. Pat is attending college at George Washington University in D.C. getting his master’s degree in some crazy political liaison type stuff (It’s involved and I forget, I just know it’s something to do with foreign policy). He had been out enjoying some adult beverages and he decided to call a friend to see if he wanted to grab a bite to eat with him. His buddy was headed for good ol’ McDonald’s and told him to meet him there. They met up and while they were inside, three guys with lots of liquid courage started trying to pick a fight with anyone in the restaurant that they could. One of the guys started to pick on the guy Pat was with and Pat immediately stepped in between the two and tried to calm the situation and break up the soon-to-be ensuing fight. As Pat walked away with his friend, a man came up behind him and sucker punched our friend, knocking him out cold. He never saw it coming. He fell and hit his head on the concrete curb. It’s not clear if this man continued to hit our friend or not. But three men ran off and Casey was left unconscious in the parking lot after the assault. His friends called the police and they immediately rushed him to the hospital. He was not breathing well on his own. As the doctors checked him out, they found that his brain was bleeding and he had severe trauma to his head. His brain was swelling quickly. They put him in a medically induced coma to try to relax his body and have been treating him with meds designed to help reduce the swelling in his brain ever since. Criminal charges are being drafted up and the police have said they have security footage of the entire incident. The police are bothered by what occurred and are searching relentlessly for the people who hurt our friend. In the mean time, Pat’s life is hanging in the balance. Jesus alone knows the outcome for him. The doctor’s are unable to determine the extent of the brain damage Pat received from his injuries due to all the swelling. It could be really bad or it could be minor. But they’ve assured the family there will be some damage. Currently, the doctors are cooling his body temperature for the next 4 days. Then, they are going to slowly warm his body back up over the course of 4 days. The biggest issue right now is keeping the swelling down. He has been touch and go over the last several days and has had several close calls. For now, the doctors say he is where they want him and expect him to be. So we are considering that good news. Jeremy and I have been praying for our friend and we ask that you go to the Lord on his behalf as well. Pat walked around Afghanistan for over half his deployment with 2 broken ankles and didn’t know it. He was too stubborn to go get things checked out. The man is tough. He is no sissy. We are praying that that strength and passion for life are still working in his soul as his body fights to live. Please pray for our friend. Thanks. This is our buddy Pat with Richard Engle from NBC while they were in Afghanistan. I pulled it from his FB page.